Tesla Motors announced today that the iconic Tesla Roadster is now available with new innovations and options, but only in limited markets. The last version of the historic, limited-production electric supercar will only be available in Europe, Asia and Australia. 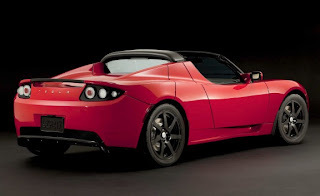 "The Tesla Roadster is the first and only of its kind: an electric sports car with exhilarating performance, zero emissions and gorgeous looks," said Tesla Vice President of Communications, Ricardo Reyes. "This latest version embodies Tesla's commitment to constant improvement. These Roadsters are our best ever." Over 2100 current Roadster owners in at least 31 countries have logged more than 18 million electric miles - and counting.